I have no idea where I found this bottle but I’ve had it for years and always knew it was destined for something beady. However, at the beginning of December we re-furbished our office, and whilst Steve was having a bonfire in the woods at the back, I spotted the bottle leaning up against a tree, destined for the skip. He’d sneakily chucked it out, so I rescued it and then had to justify hanging onto it! 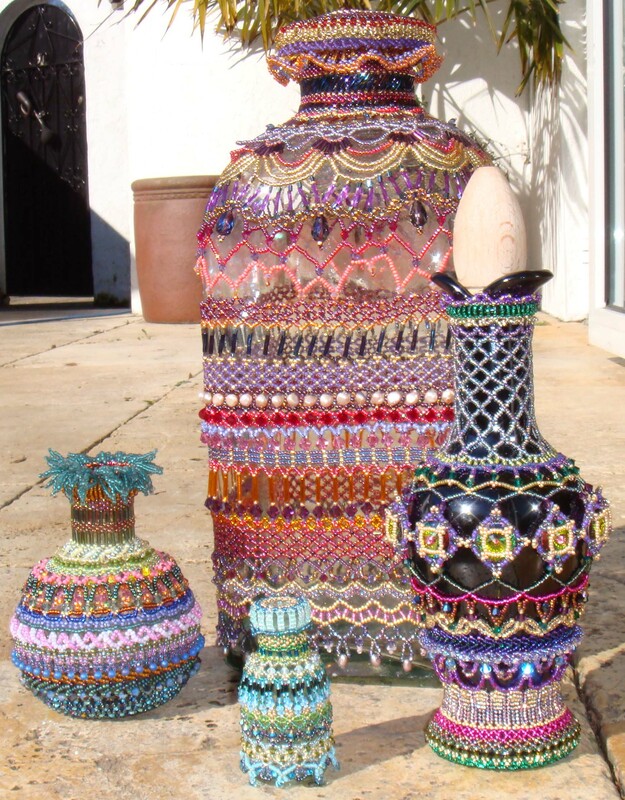 I always say I won’t live long enough to use all my beads but this project used up a LOT! I polished off a number of tubes of size 11 seed beads, bugles, crystals and pearls, not to mention 1.5 reels of Fireline thread (4lb), which incidentally, I thoroughly enjoy using; I haven’t touched Nymo for quite a while. 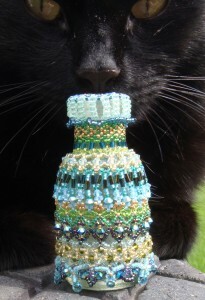 And here’s version 2 only somewhat smaller (as you can see by my cat in the background), and in my favourite colours. 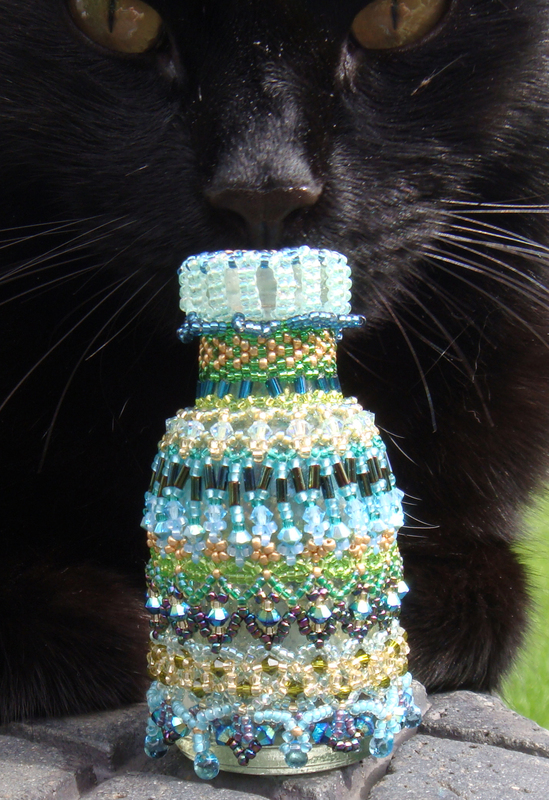 I used size 15 seed beads and 3mm Swarovski crystals for this project. 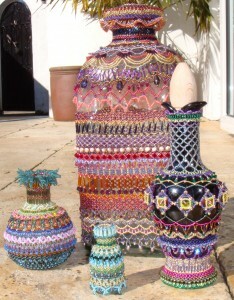 I now have a quirky beaded bottle family, having added the squat “Island” version and “Genie”. I’m guessing you can tell which is which.